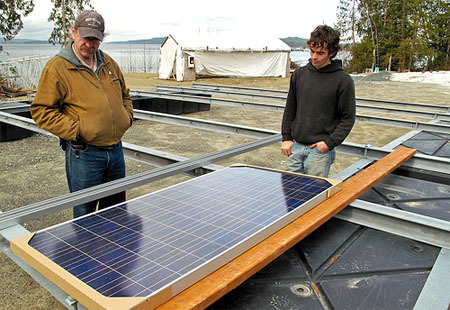 Solar Power Equipment: What Parts are Used in Solar Installation? In this post, I’m going to look at what’s often called a ‘domestic’ solar installation. The systems we’ve looked at before (see diy solar power) were standalone. Whether you’ve got a solar charger working an iPod or a roof-mounted panel powering a network of Ulitium lights, you’ve got a self-contained system. It’s a neat little DIY project. But, if your solar panels interact with the electricity supply to your home, then you’re dealing with something more complex. Domestic solar installations are expensive investments that pay back over years or decades, and you’ll likely need professional help to install one. There are similarities to smaller setups. But there are differences, too. Don’t want a solar panel falling on your head? You’ll need proper mounts. You might be able to save money by shopping around, but make sure you choose something that will stand up to a storm. The same goes for your wiring. Have you seen those big leads that the power company uses inside your house? Some of yours will need to be that size, too. Next, there’s the inverter. This device converts DC from your panels into AC for your fridge. If you’re keen on sellng power back to the utility company, you’ll need a grid tie inverter to handle the connection. 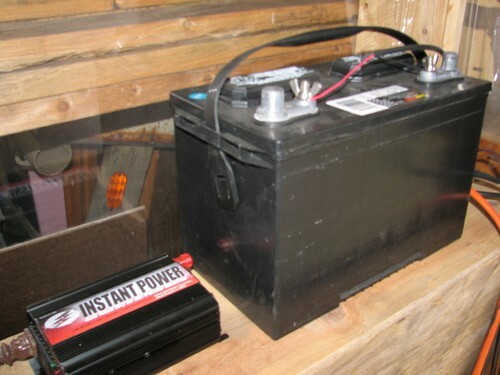 If you’re going totally off-grid, you’ll have a big stack of batteries. Otherwise your excess energy will just flow right into the grid. The batteries look like the ones in your car, but many of them are specially built for solar applications. Just above the batteries is a rack of exotic-looking boxes. (Don’t worry, you’ll get used to them.) The first of these is a charge controller. Batteries are surprisingly delicate things, and they need the controller to keep them in the sweet spot between overcharged and fully discharged. The controller mediates between the batteries and the rest of the circuit. Lastly, there’s a monitoring system. You need one of these to track the output of your panels, the efficiency of your batteries, power usage and so on. These days monitoring is likely to be built right into the inverter, but standalone types are common, too. All these components are built to handle high voltages. That’s why solar power equipment is expensive. Free power doesn’t come cheap!